Ada pertanyaan untuk Stamford Plaza Adelaide? Bagi para wisatawan yang ingin menjelajahi kota Adelaide, Stamford Plaza Adelaide adalah pilihan yang sempurna. Pusat kota terletak hanya sekitar 0.2 km dan bandara dapat ditempuh dalam waktu 20 menit. 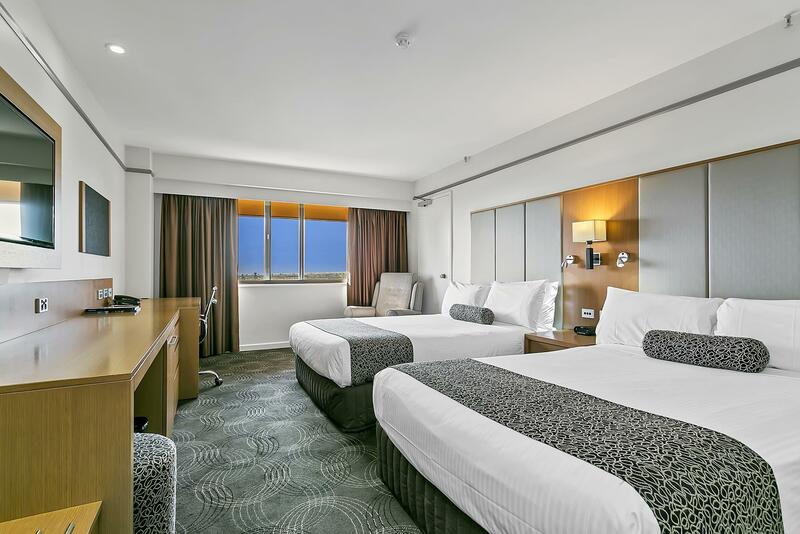 Untuk pilihan lokasi jalan-jalan dan obyek wisata lokal, Anda tidak perlu pergi jauh-jauh karena hotel ini terletak dekat dengan Gedung Parlemen, Skycity Adelaide Casino, Beehive Corner Building. Pelayanan dan fasilitas hotel kelas satunya menggambarkan pengalaman menginap di Stamford Hotels & Resorts yang menanti Anda di Stamford Plaza Adelaide. Sejumlah pilihan fasilitas kelas atas seperti layanan kamar 24 jam, satpam 24 jam, layanan kebersihan harian, layanan taksi, akses mudah untuk kursi roda dapat dinikmati di hotel ini. Suasana Stamford Plaza Adelaide tercermin di setiap kamarnya. lantai karpet, sandal, televisi layar datar, cermin, pendeteksi asap hanyalah beberapa dari fasilitas yang dapat Anda nikmati. Hot tub, pusat kebugaran, lapangan golf (sekitar 3 km), kolam renang luar ruangan di hotel ini adalah tempat-tempat ideal untuk bersantai setelah hari yang sibuk. Fasilitas super dan lokasi yang istimewa menjadikan Stamford Plaza Adelaide tempat yang sempurna untuk menikmati penginapan Anda selama di Adelaide. Biaya tambahan sebesar 1.25% hingga 3.09% berlaku ketika menggunakan kartu kredit. Silahkan menghubungi pihak properti untuk informasi lebih lanjut. We were only there for one night but the room was great. 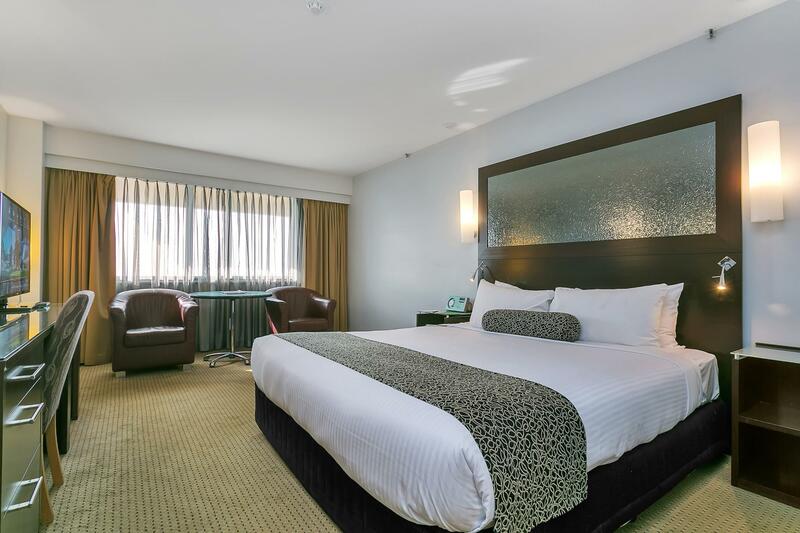 The hotel itself is in a perfect location directly across the road from the casino and easy walking distance to Rundle Mall, Adelaide Oval and plenty of restaurants and cafes. Would definitely stay here again. Hotel porters were very helpful and friendly . General areas quite modern , room was a good size but needed a freshen up. I left an expensive necklace behind and am very impressed that the housekeeping staff found it and it is being posted to me. Great customer service . great location close to Adelaide oval and river. Also right in the city. We had room 1315 which had the view. Could see the oval the railway station government house from our room. And a great view at night with all the lights. Highly recommended. Would stay again definitely. Staff are very nice , room is clean and comfortable, Only disappointed the parking alway are full at anytime any-day , have to park at Willson car park. The room is spacious but the design is a bit old. Having said that, I have an enjoyable stay in the hotel. We stay here a bit as the location is great for our needs. Staff are always very professional and friendly. However the room we stayed in this trip was not a 5 star room, it needs a major renovation We stayed on the 18th floor and although the room had all the necessities it was definitely over due for a modern revamp. We still payed the same rate as previously have payed for a far better room. Apart from that everything was as lovely as usual. This hotel is located in the centre of the city. The mall was just a block away. The check in and out was efficient and fast.The room and bathroom was large and clean. My room was quiet and the bed was comfortable. Came down from Brisbane to enjoy some time away and found the Stamford Plaza great. 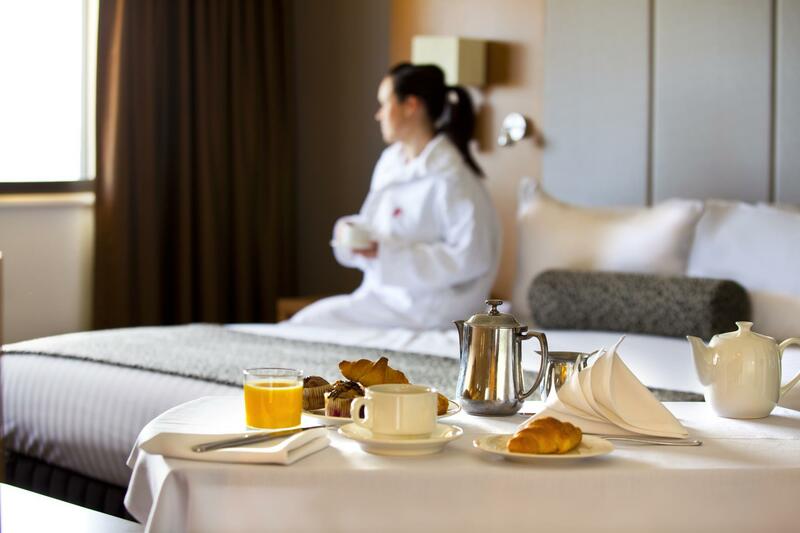 The location of it on North Terrace is close to Rundle Mall, Adelaide Zoo, Elder Park and the Adelaide Oval. The concierge gave me a room on the 16th floor overlooking the Adelaide Oval which was perfect to see the fireworks on NYE. If I get a chance I'll come back! 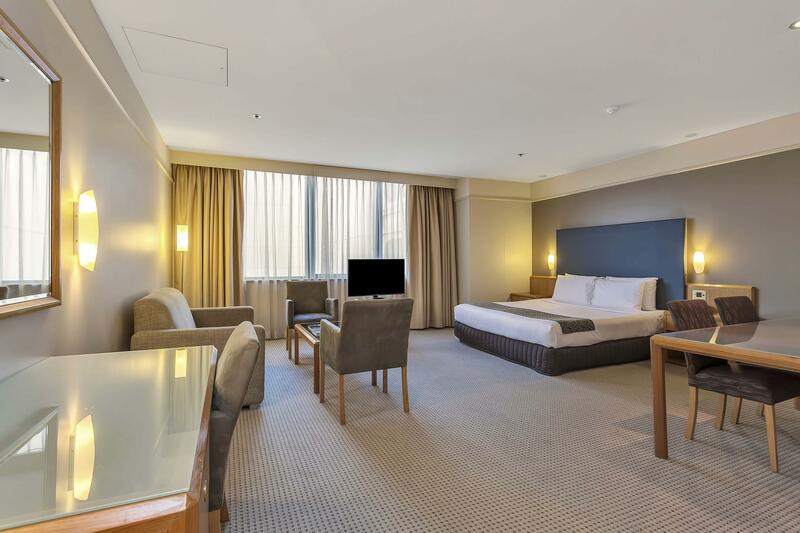 The hotel is right at the activity centre of Adelaide city, within a few minutes of walking distance to Adelaide Casino, Elder's park, Adelaide University, museum and shopping mall etc. Excellent place to stay for tourists. Nice five-star hotel in Adelaide. I was told this the nicest place to stay in the city. The rooms are definitely very comfortable and certainly 5 star. I would say that the lobby doesn't quite live up to the standard of the rooms. The staff were very helpful. I did not even in the hotels cannot vouch for the dining. 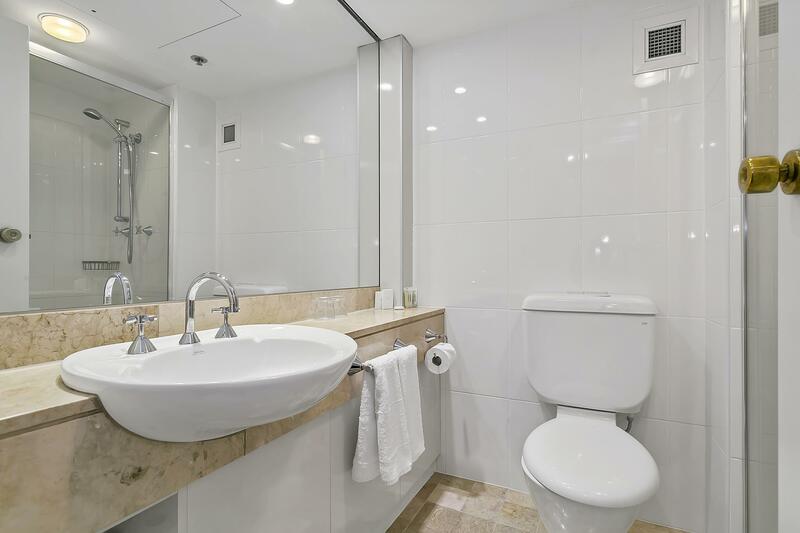 The location is excellent, right on the tram line and opposite the railway station. Walking distance to Adelaide city sights and shopping. We stayed on a Sealink Murray River Kangaroo Island Tour and booked in a couple of extra nights before the tour and after the tour. Staff were very happy to keep us in the same room so as not to change nightly. Very coniderate. Late check outs. Would definitely recommend and stay again. 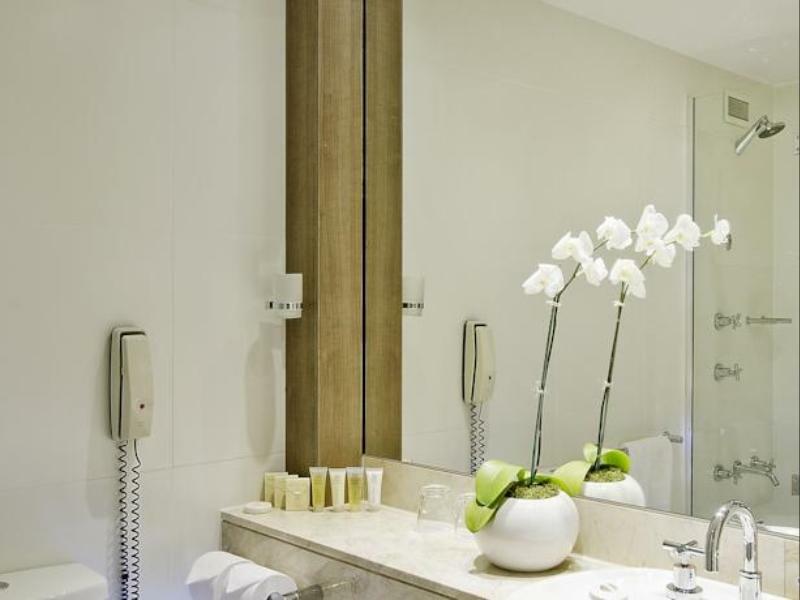 Friendly staff, clean and nice cool rooms in the hot weather. Cocktail bar was hot air conditioning in there not up to scratch. We love it. Great location, wonderful staff, very clean and quiet. Decor is getting a bit tired but that’s sort of endearing as well! We will be back. Walking distance to most everything Adelaide has to offer, wonderful staff, so welcoming & helpful. Only disappointment was the breakfast room, the staff were terrible, tables left uncleared, including ours, until we left. Extremely poor service in such a lovely hotel....definitely needs addressing. Having previously stayed here, I was very disappointed with the service provided by the gentleman who checked us in. Unfortunately we were charged the incorrect amount when checking in, and when the amount was queried, instead of an apology, the staff member was defensive and rude. I contacted the hotel directly via email regarding this issue and have not received either an acknowledgment of my email nor a reply. I find this to be very disappointing and it has soured my view of the hotel and made reconsider future bookings with this hotel.